This would usually be the moment where you’re told that Hirano toiled under sushi masters for decades, slicing fish and cooking rice ad nauseam before striking out on his own. But that’s not so. In fact, it’s Hirano’s first time running a counter, which makes it all the more impressive that the affable 38-year-old Japanese expat turned South Bay surfer is serving some of the most exciting sushi in L.A.
Sushi I-Naba is the most recent expansion of the restaurant group behind Torrance stalwart I-Naba, and it was originally intended as a simple takeout spot before being reconceived late last year. Hirano, then a manager at one of the group’s restaurants, was enlisted to take over. While he hasn’t logged much experience as a chef, Hirano has a natural pedigree: His parents ran a fish market and sushi restaurant in Tokyo’s blue-collar Chiba Prefecture, and he’s been butchering fish since he was a kid. His father-in-law has connections from when he worked in the seaweed and rice industries (Hirano gets his nori from Tokyo’s Toyosa Market; his rice comes from California). At Sushi I-Naba, much of the fish is sourced directly from Japanese ports rather than through distributors—a perk from the industry connections of Hirano’s mother. What Hirano does with this immaculate oceanic haul is equally intriguing. 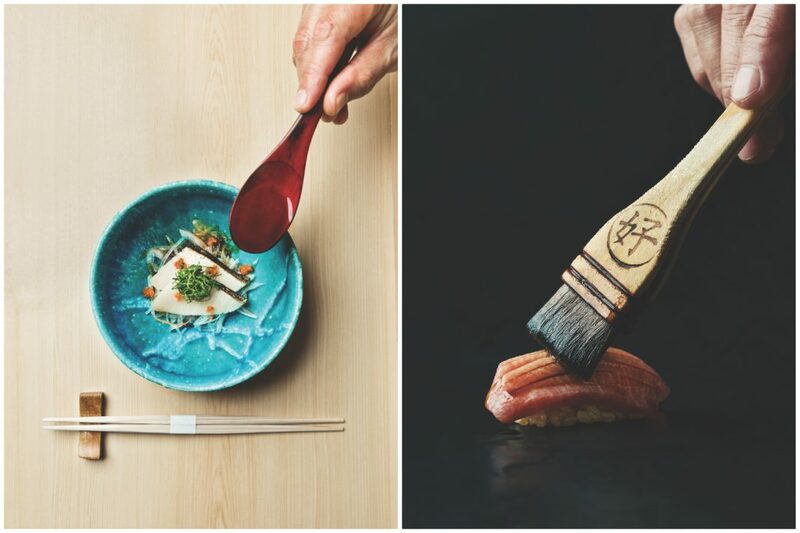 Drawing from Edo-era traditions, he ages sealed cuts of fish in ice for days, often weeks, drawing out a depth of savoriness (not unlike dry-aging a steak). Fatty bluefin tuna belly from Spain (sustainably caught) is aged for up to three weeks until it develops a nutty, almost caramelized flavor. But that’s not Hirano’s only trick. Canadian black cod is seared using a glowing stick of charcoal and finished with yuzu salt. Reservations are required during dinner, and omakase options start at $120. It’s less of a splurge at lunch, when an abbreviated tasting menu ($35 and $55) and a superb chirashi bowl ($35) are downright bargains. A cup of beautifully clarified dashi stock enriched with littleneck clams and seaweed signals the meal’s end. Does Hirano have family in the soup biz, too? It wouldn’t be shocking. RELATED: The 7 Best All-You-Can Eat Sushi Places in L.A. Previous article“Bed Cinema” Is an Outdoor Screening Series With Actual Beds, and It’s Coming to L.A.